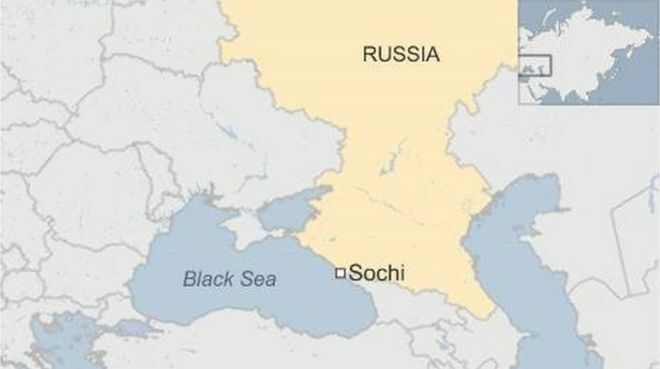 A Russian military plane has disappeared from radar just minutes after take-off from the Black Sea resort of Sochi. The defence ministry said its Tu-154 aircraft had 91 people onboard, including service personnel, a military music band and reporters. The plane disappeared from radar 20 minutes after taking off from Sochi’s Adler airport at 05:20 (02:20 GMT). Unconfirmed reports said it was flying to Syria’s Latakia province. The aircraft went missing as it was manoeuvring over Russia’s territorial waters, a source at the emergency ministry was quoted as saying by Russian news agencies.